Florida — There will be dozens of firework shows across Florida to ring in the New Year, and many residents will choose to light up the sky with their own fireworks display. Officials want to remind residents that many types of fireworks are illegal in the State of Florida. According to state statutes, Florida law prohibits any fireworks that fly through the air or explode — such as Roman candles, bottle rockets, and mortars — for recreational use. Most firework shops and stands alike, require residents to sign an “Agricultural Exemption.” The exemption basically states that the purchaser of the fireworks will use them for the sole purpose of scaring off birds from farms and fish hatcheries. But enforcing the statute can sometimes be complicated, law enforcement officials said. Generally, the purchase of illegal fireworks goes unchecked. Officers and deputies will respond if a resident complains about a neighbor’s illegal fireworks; however, the officer must witness the explosion in order to make an arrest and confiscate the items. Arrests are rare, authorities said. “The Fire Marshall handles most of the firework issues,” the sheriff’s office said. Most law enforcement agencies will address firework issues on a case-by-case basis. While exploding fireworks are illegal, some authorities say they understand they are for celebration, but warn that if fireworks are misused it could result in an arrest. Sergeant Angy Scroble, Public Information Officer for the Ocala Police Department, said OPD will enforce any City Ordinance or State Laws if they are violated. (a) For purposes of this article, the term “fireworks” shall mean and include any combustible or explosive composition or substance or combination of substances or, except as provided in this article, any article prepared for the purpose of producing a visible or audible effect by combustion, explosion, deflagration or detonation. The term includes blank cartridges and toy cannons in which explosives are used, the type of balloons which require fire underneath to propel them, firecrackers, torpedoes, skyrockets, Roman candles, dago bombs, and any fireworks containing any explosive or flammable compound or any tablets or other device containing any explosive substance. (b) The term “fireworks” shall not include sparklers approved by the state fire marshal pursuant to F.S. § 791.013; toy pistols, toy canes, toy guns or other devices in which paper caps containing 25/100 grains or less of explosive compound are used, providing they are so constructed that the hand cannot come in contact with the cap when in place for the explosion; and toy pistol paper caps which contain less than 20/100 grain of explosive mixture, the sale and use of which shall be permitted at all times. (1) A snake or glow worm which is a pressed pellet of not more than ten grams of pyrotechnic composition that produces a large, snake-like ash which expands in length as the pellet burns and that does not contain mercuric thiocyanate. (2) A smoke device, which is a tube or sphere containing not more than ten grams of pyrotechnic composition that, upon burning, produces white or colored smoke as the primary effect. A party popper, which is a small plastic or paper device containing not more than 16 milligrams of explosive composition that is friction sensitive, which is ignited by pulling a string protruding from the device, and which expels a paper streamer and produces a small report. A booby trap, which is a small tube with a string protruding from both ends containing not more than 16 milligrams of explosive compound, which is ignited by pulling the ends of the string and which produces a small report. A snapper, which is a small paper-wrapped device containing not more than four milligrams of explosive composition coated on small bits of sand, and which, when dropped, explodes, producing a small report. A snapper may not contain more than 250 milligrams of total sand and explosive composition. A trick match, which is a kitchen or book match which is coated with not more than 16 milligrams of explosive or pyrotechnic composition and which, upon ignition, produces a small report or shower of sparks. A cigarette load, which is a small wooden peg that has been coated with not more than 16 milligrams of explosive composition and which produces, upon ignition of a cigarette containing one of the pegs, a small report. An auto burglar alarm, which is a tube containing not more than ten grams of pyrotechnic composition that produces a loud whistle or smoke when ignited and which is ignited by the use of a squib. The auto burglar alarm shall not use more than 50 milligrams of explosives to produce a small report. (d) For purposes of this article, the term “sparkler” means a device which emits showers of sparks upon burning, does not contain any explosive compounds, does not detonate or explode, is handheld or ground-based, cannot propel itself through the air, and contains not more than 100 grams of the chemical compound, which produces sparks upon burning. Any sparkler that is not approved by the state fire marshal is classified as fireworks. Police officers may seize, take, remove or cause to be removed, at the expense of the owner, all stocks of fireworks, sparklers or combustibles offered or exposed for sale, stored or held in violation of this article or F.S. ch. 791. Sec. 38-153. Petition for return of seized property. (a) Right to hearing. Any person from whom property is seized or removed as provided in sections 38-152, 38-157 and may file a petition with the city council for a hearing and to seek the return of the property. (b) Petition for hearing. Any person seeking a hearing pursuant to this section must first file a petition with the city council within 20 days of the date of seizure, which shall contain the following information: name, address and phone number, and a reference to the date, time, the type of property, and the basis upon which the person seeks return of the property seized. Within 20 days of receiving the petition, the city council shall hold a hearing during either a regularly scheduled council meeting or special meeting held for such purpose. (c) Conduct of hearing. The city attorney shall present the case before the city council. All parties shall have an opportunity to present evidence involving the property that was seized. Formal rules of evidence shall not apply, but fundamental due process shall be observed during the proceedings. After considering all evidence, the city council shall have the power to return the property, deny the request or enter such other order as it deems appropriate. (d) Any person appearing before the council pursuant to this section may appeal a final order of the council to the Fifth Judicial Circuit Court. Such an appeal shall not be a hearing de novo, but shall be limited to appellate review of the record created before the council. An appeal shall be filed within 30 days of the date of the written order appealed from. Sec. 38-154. Sale and use of toy and novelty items. The sale and use of items listed in section 38-151(c)(1) through (3) are permitted at all times, except as otherwise prohibited in this article. Sec. 38-155. Sale, possession or use of fireworks; permit for public display of fireworks. (a) It shall be unlawful for any person to possess, display, offer for sale, expose for sale, sell at retail, or use or explode any fireworks; provided, however, that a permit may be obtained from the chief of police for a supervised public display of fireworks to be handled by a competent operator, who shall be approved by the chief of police and the chief of the fire department. Any such display for which a permit is granted shall be of such a character and so located, discharged or fired as in the opinion of the chief of the fire department, after proper inspection, shall not be hazardous to property or endanger any person. (b) Application for a permit shall be made in writing to the chief of police at least 15 days in advance of the date of the display. The application shall be made upon forms to be developed by the chief of police and approved by the city council. If a permit is granted, sale, possession, use and distribution of fireworks for the display so permitted shall be lawful for that purpose only. No permit granted under this section shall be transferable. Sec. 38-156. Purchase or sale of sparklers by persons under 18 years of age. It shall be unlawful for any person under the age of 18 to purchase or engage in the business of soliciting or peddling any sparklers. Sec. 38-157. Possession on public property on July 4. It shall be unlawful for any person to use or possess, without a permit obtained pursuant to section 38-155, on July 4 any sparklers, fireworks or smoke devices in or on any city- or government-owned park, sidewalk, street, property or building. Any police officer, fire officer, deputy sheriff or other duly appointed law enforcement officer is authorized to seize, take, remove or cause to be removed all such devices found in the possession of any person within the prohibited areas. Sec. 38-158. Possession at or near parade route. It shall be unlawful for any person to use or possess any sparklers, fireworks, smoke devices, snake or glow worm, or trick noisemaker, as those terms are defined in this article, at any parade as defined in section 66-131, or within 200 feet of any parade route permitted pursuant to section 66-132. Any police officer, fire officer, deputy sheriff or other duly appointed law enforcement officer is authorized to seize, take, remove or cause to be removed all such devices found in the possession of any person within the prohibited areas. At most Florida fireworks stands, consumers are asked to sign a waiver acknowledging they will only use the illegal fireworks for agricultural purposes. Signing the form doesn’t guarantee the consumer protection from the law — but it does absolve the vendor of any legal responsibility, state officials said. “It’s not up to us to explain it. 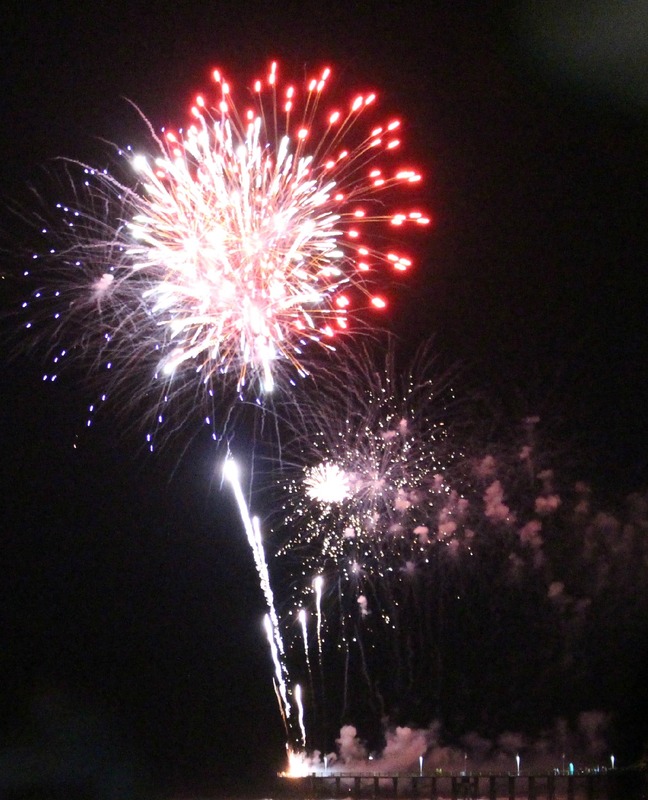 It’s up to the consumer to purchase them legally,” said one local fireworks vendor. For vendors, it’s about business. But for consumers, unlawful fireworks can have hefty penalties. According to the State Fire Marshall, If a person fills out the form and uses the fireworks for something other than agricultural purposes and are caught, it’s a first degree misdemeanor. It’s punishable by up to 1 year in jail or $1,000 in fines. Officials said Even those fireworks that are deemed ‘safe’ are still very dangerous. Sparklers can burn at 1,200 degrees Fahrenheit. Sparklers and fireworks sparked more than 150 reported fires in fiscal year 2012-2013 across the state and caused close to $200,000 in property damage. The U.S. Consumer Product Safety Commission estimated fireworks were involved in an about 8,700 injuries in 2012. Children under 15 accounted for about 30 percent of the 2012 injuries. Some municipalities throughout the state have vowed to renew enforcement efforts and arrest violators. Keep a fire extinguisher or water hose on-hand for emergencies. It’s a good idea to drop used sparklers in a bucket of water. Use sparklers and other legal novelties on a flat, hard surface in an open area. Do not light them on grass. Keep children and pets at least 30 feet away from all ignited sparklers. Don’t use any unwrapped items or items that may have been tampered with. Never allow young children to play with or ignite fireworks. After the firework display, children should never pick up fireworks because they may still be active.